The New York Times published an investigative report on December 30 titled A Day, A Life: When a Medic Was Killed in Gaza, Was It an Accident? That was a provocative title for the New York Times on the killing of a Palestinian medic, Rouzan al-Najjar. Al-Najjar was killed while caring for protesters on the Great March of Return in Gaza on June 1 of last year. Now, Rouzan saw protesters being gunned down by Israeli snipers. 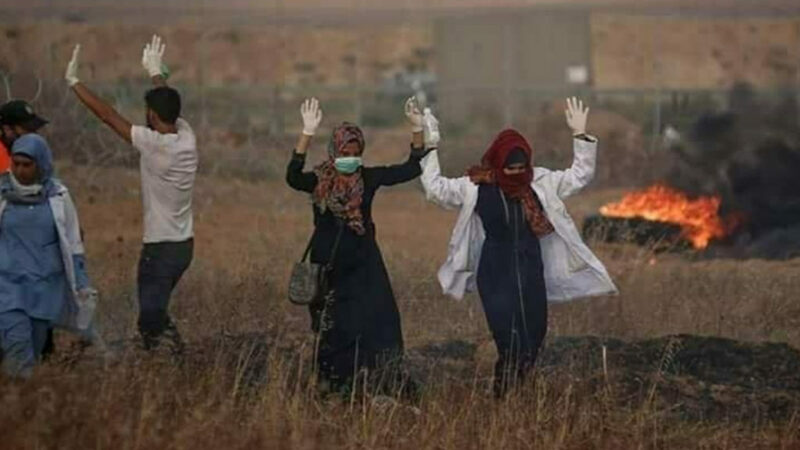 With her hands raised in midair to demonstrate that she was not armed, she approached a wounded protester wearing a white medic’s coat. The coat did not shield her from the sniper fire that killed her. The Israeli military claims that al-Najjar was not the target of direct fire, but the Military Advocate General rejected that claim and opened a criminal probe in October. It did not publish any findings and it continues to hide the names of the shooters or the soldiers. Now, the New York Times report brings forth extensive evidence which raises severe suspicion that the killing of al-Najjar was a war crime. Shortly after Rouzan al-Najjar’s killing, her cousin Dalia al-Najjar spoke with The Real News about why Rouzan was there putting her life on the line to save protesters. DALIA AL-NAJJAR: Rouzan showed everyone what is it to want freedom. And this emerges from our desire to life and to live in dignity and to have our freedom and to live in a better future. And this is why everyone is joining the protest, because people want their freedom and it’s a legitimate right for them to ask for it. 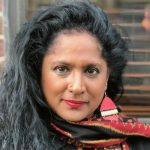 SHARMINI PERIES: James North, our next guest, took a stab at analyzing the New York Times investigation and he has now published an article in Mondoweiss, and we’ll put a link to it just below, and it is on the coverage of the New York Times. James North is a writer for The Nation and Mondoweiss. Welcome, James. JAMES NORTH: Thank you, yes. SHARMINI PERIES: All right, James. Now, you very interestingly point out that this is a departure for the New York Times, and it’s a surprising departure, to put on the front pages of The New York Times an article, an investigative report at that, that basically points the finger at the Israeli military. And this is unusual, why? JAMES NORTH: An excellent question. We at Mondoweiss has been monitoring the U.S. press, and particularly the New York Times, for years now. I must have done over the years a dozen or two posts about dissecting individual New York Times stories. And in most cases, nearly every case, we found tremendous fault with their coverage. So we were surprised this past weekend when we saw this front page story and looked at it more closely. And our first reaction was that we were delighted and surprised to see it was there at all. Now, once we scrutinized it a little further, which we can get into a little later, we did find some problems, but I believe that what’s happened is that the New York Times is aware that its public is becoming more and more informed about the truth about the Israeli-Palestine situation and that its people, the people who read the paper whether online or in print, will no longer accept totally one sided pro-Israel coverage. So they have to respond to that. I don’t know that they consciously think that way, I’m not privy to how they actually rationalize among themselves and with their editors, but one indication of that is that a number of articles, not this one, but a number of their articles in the past include room for comments from readers. And in many, many cases, they get very intelligent comments questioning their pro-Israel bias. And I think they have to be responsive to their audience to some extent, and I think that’s partly what happened in this case. So we were very, very pleased with what we saw. Now, having said that, as my post made clear in Mondoweiss, we found plenty of problems with the article that ran, but it was still a big step forward in our view. SHARMINI PERIES: James, you make a very important point in your article that the New York Times focuses in on the murder of Rouzan al-Najjar by sniper fire of the military, but they ignore the 185 or more Palestinians that were also killed during the Great March of Return. Why are they doing that? JAMES NORTH: Well, that’s a good question. I’m not a mind reader, but as I pointed out in my Mondoweiss post, focusing on one person tended to give the impression that this was an isolated incident. They didn’t come right out and say that. And as you said, later down in the article, they did mention that there were 179, at least, other people killed. But I have a feeling that it was an effort to insulate themselves maybe against criticism, to protect themselves to some extent. Again, I’m not charging conspiracy or anything here, but the Times has to be very, very sensitive to its readership. Its readership has historically been very, very pro-Zionist I would say, and they have to respond to that. I don’t know what role advertisers play in that. Another pressure is from the editors. A reporter in the field gets a lot of pressure from back in New York, from the desk and so on. Again, we don’t have firsthand information about this, but they’re constantly trying to do, it seems to us, a balancing act, and that can be difficult at times. And I think were the Times reporters to be more aware and have a feeling that their editors would back them up more often, they might be able to take greater risks. I should point out I work with alternate media, but I’m not automatically opposed to anything the mainstream media does. I’ve seen good reports from the New York Times, for instance, on the uprising in Egypt in 2011 and onwards. So it’s not I’m not knee jerk hostile to their foreign coverage. But in this particular case, I think that they constantly have to be weighing the pros and cons. And in this case, I think by focusing on a single person, important as she was and is, they kind of missed part of the larger story. SHARMINI PERIES: Right. And the New York Times had a photographer on the ground who witnessed the killing of Rouzan al-Najjar. Now, this step alone is a remarkable new direction for the New York Times, would you agree? JAMES NORTH: Oh absolutely, absolutely. I mean, to contrast that, as I do in the Mondoweiss post, with what happened in 2014, you’ll recall that one of the worst atrocities in Israel’s attack on Gaza that year was when four little boys were shot dead playing soccer along the beach front in Gaza City. And a month or two later, I don’t know exactly when, the Israeli military released its whitewash of its own behavior, exonerating itself, and the New York Times reporter at the time simply reprinted what the Israeli military said. However, one of their own photographers was present and an eyewitness for these four little boys getting getting killed, and he had written something the day after about it. But in terms of the article that finally appeared a few months later, they didn’t even bother to contact their own photographer. So when we at Mondoweiss talk about an improvement, you can see that it starts from a very poor background here. But in this case, here we have a situation where they really are trying to portray a Palestinian person as a human being like anyone else, and in this case a victim of what they say in their own words is very likely a war crime. SHARMINI PERIES: And on that point, my final point of exploration with you. James, what happens usually when New York Times does an investigative piece of this nature and indicate that there is cause to look into this, that this could actually be a war crime? Do states and UN bodies like the ICC take up such an issue? JAMES NORTH: That’s a good question that we’re going to have to follow up ourselves. I think that towards the end of the article, basically the Israeli military spokesman evaded this question. Israel has historically ignored any kind of pressure, but I think in this case, they may actually be forced to come up with some mild scapegoat, someone that they can blame for this at some stage. I really don’t know what’s going to happen, but I do feel that we’re moving into a new era in terms of accountability on the part of Israel’s military. Another factor too is, what we notice at Mondoweiss, is that increasingly large numbers of younger people in the United States, Jewish people, not Jewish people, are increasingly disturbed at what they are learning about Israel, the attacks on Gaza and so on. And so, public opinion is shifting, there’s no question about it. I mean, Phil Weiss started Mondoweiss over ten years ago, I started contributing to it just about the same time. And we’ve definitely seen progress. Now, having said that, obviously for people who live in Gaza under siege, under tremendous pressure, no electricity, not enough food, things are not changing fast enough, and I certainly wouldn’t want to ignore that. But the fact is that slowly but surely, I think public opinion is shifting, and this article is one indication of that. SHARMINI PERIES: And James North writes for The Nation and Mondoweiss. I thank you so much for joining us today. JAMES NORTH: Thank you, it’s been a pleasure. Thank you.